To finance a college education today requires a paradigm shift. Parents and students have to work together to combine as many opportunities as possible to save money on college. If you have a teenager, you probably earned a significant portion of your tuition when you were in college. Today’s minimum-wage jobs hardly make a dent in the cost of a bachelor’s degree, but “easy money” has made student loans available to anyone who wants them—at a cost. If this isn’t what you have in mind for your child, keep reading because we’ll look at a combination of techniques to reduce the cost of a college education. 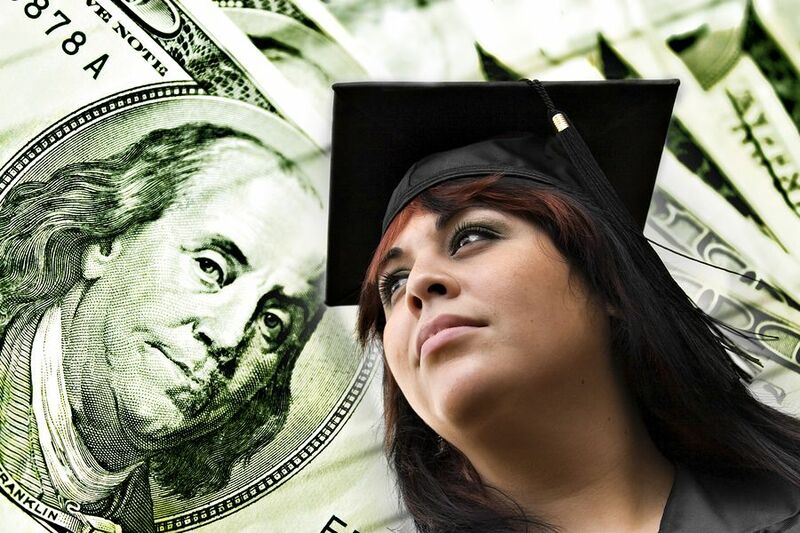 Before we dive into cost-cutting measures, let’s look at the true cost of higher education. Room and board runs an additional $7,700–$11,000 per year. What Does a College Education Buy? Not enough apparently: In a recent CNBC article, “Why Johnny can’t write, and why employers are mad,” we discover that some employers have to provide remedial education in basic communication skills to new hires. When high schools changed their focus from education to training, common sense, critical thinking and communication skills got lost in the shuffle. Coincidentally, those are the skills required to advance beyond an entry-level position in today’s workplace—with or without a degree. Employers want competent employees they don’t have to train in the basics, not graduates with transcripts filled mostly with classed such as “Getting Dressed,” Princeton; “Philosophy and Star Trek,” Georgetown; and “Cyberporn and Society,” State University of New York at Buffalo. Pick and choose the tips that work for you. All roads lead to savings, and by combining them, you’ll stretch your college dollar further. Encourage your child to enroll in high school Advanced Placement (AP) classes. AP classes earn college credits and cover a broad range of topics. Whether you help your child apply for a loan, a grant or a scholarship, it all starts with filing a FASFA form. This financial statement enables the federal government to calculate the Expected Family Contribution (EFC) toward education for students who qualify for federal assistance. Combine need-based scholarships and grants such as the Pell grants, Hope scholarships, etc., with merit-based and nontraditional scholarships and grants to help finance the remaining tab. Start your search at CollegeScholarships.org. Apply for need-based opportunities even if you think you don’t qualify because the calculation formulas are obtuse and largely undecipherable. Many colleges and universities offer online courses, which eliminate room and board and/or reduce commuter costs. Some offer degree courses entirely online. I have a friend who is earning a Ph.D. through distance learning. Check out Time magazine’s article on 22 free college opportunities. Some of the schools require students to work for their room and board, some offer mean-tested free admissions to students who qualify academically, and some offer free tuition for talented students. View a comprehensive list of MOOC sites at Top5OnlineColleges.org, and combine this tip with the next one. For a small fee per test, students can rack up more college credits by taking CLEP and DSST exams. Some students eliminate two years from their four-year degree programs. Before students take a CLEP or DSST exam, they must ensure their college or university grants credit for the test. Ask the admissions office what additional tests the college or university offers. Earn a stipend and/or college credits for internships. Search for “paid internships programs” “college credit internship programs” to find internship portals on the Internet. Even more important, internships provide an easier entrée into a job right after graduation due to the experience gained. Tax deductions reduce taxable income, and tax credits reduce the amount of taxes paid on net income (gross income minus deductions). Alltuition.com explains the options in plain English. Military members and veterans are eligible for a host of military education benefits. Between AP classes, MOOCs, CLEP, DSST, state programs, waivers and community college, no one earning a bachelor’s degree should have to pay for more than two years of an undergraduate degree. Grants and scholarships can chisel away more of the expense, leaving student loans as a last resort rather than the first, easy option. Edvisors.com can walk you through myriad options for college financial planning. If you can’t finance a college education outright, you can reduce the cost of student loans by combining the techniques above. Further, free eLearning is opening doors that were once closed to those without a degree. Nothing lasts forever, so take advantage of these tips while the getting’s good. This entry was posted in Uncategorized on March 27, 2015 by Peter D.
Teaching your children about financial responsibility isn’t one of the easiest parts of parenting, but with the right tools and strategies, it can be done. Financial irresponsibility often leads to future credit and money problems, and it can even prevent your children from developing a savings plan for the later years in life. 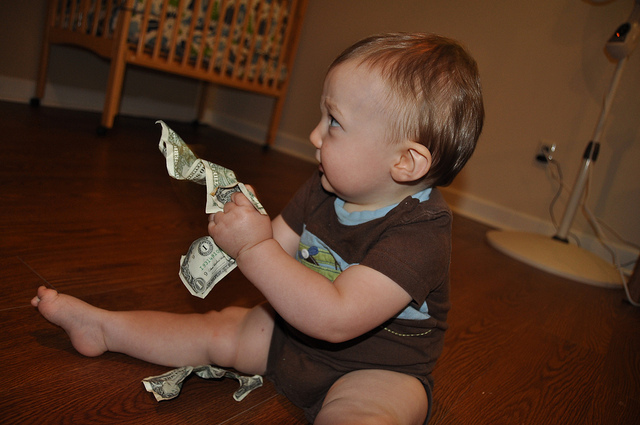 These are unique ways you can help your children learn to use money wisely and responsibly. 1. Enlist the help of your children when managing bills. The Pennsylvania Association of Community Bankers suggests allowing your children to handle small aspects of the money flow in your home. For example, you might consider letting them balance the family checkbook after all major bills have been paid. This helps children get a good look at how finances are affected once expenses have been paid. 2. Set up a matching goal. Depending on how old your children are, they may have already started talking about getting that prized first car once they turn 16. Abby Hayes of AFCPE notes that one great method for encouraging kids to save their money is to propose a matching goal. This means that however much they save for a particular purchase, you promise to match a certain percentage of their savings. This is often a great motivator for kids to begin saving and working hard for the things that they want. 3. Define needs and wants. One mistake that many parents often make is merely assuming that their children understand the difference between financial needs and wants. Children don’t understand that a video game is a financial want, while making a mortgage payment is a financial need. Jacqueline Curtis of Money Crashers explains that it’s your responsibility to distinguish the two. Start by noting expenses that are required for survival, such as the electric bill, your car payment, or groceries. Next, list things that aren’t vital to survival, such as going out to eat or toys. Compare the priority levels of expenses to help your children understand the differences between essential and nonessential purchases. 4. Explain how bank accounts and ATMs work. It’s easy for children to underestimate the importance of money when they see their parents swiping their debit/credit cards or taking seemingly free money from an ATM slot. Jason Alderman, Vice President of Visa Inc. tells parents that it’s important to teach their children that money isn’t free. Help your children understand that the money you spend from a credit card or receive from an ATM isn’t conjured from thin air. It’s real, and it must be accounted for. This is also a good time to explain what happens when too much money is withdrawn from an ATM, or too much money is spent using a debit/credit card. 5. Lastly, don’t stop at one piggy bank. You’ve probably already considered getting a piggy bank for your child. However, Meadows Urquhart from Meadows Urquhart Acree & Cook LLP explains that you can teach your child an even more valuable life lesson by getting them multiple piggy banks. This gives children a chance to break their money up into spending, savings, or item-specific goal accounts. This provides children with wonderful preparation for real bank accounts. This entry was posted in Personal Finance and tagged kids, personal finance, responsibility on March 25, 2015 by Peter D.
Sometimes you need to make big changes to see a lasting change. Many budget experts believe that you need to first tackle your bad spending habits before you can really see a difference in your bank account. But when you’ve been living a certain way for years, it can be difficult to even see where to begin. In this situation, you need to perform a complete budget overhaul. Income can be incredibly difficult to estimate — so don’t. Make sure that you know exactly how much you have in take home pay every month. If your pay varies, estimate it out based on the amount you took home the last six months; don’t try to estimate based on the most that you usually bring in. Keep in mind that if your pay is erratic you will need to be more careful with your budget. Your budget will need to be more restrictive to ensure that you have a buffer during leaner earning periods. Go through your monthly expenses and separate every expense that you had into two piles: a “need” and a “want.” Rent is a “need” — it’s something that you cannot avoid spending money on. Going out to eat is a “want” — it’s something that you enjoy but that you don’t necessarily need to do to survive. At this stage, you don’t need to make any judgment calls on whether you’re spending too much on each item; you just need to classify all of them. Make an orderly list. Once you have separated your expenses, go through your needs line by line and identify areas in which you can save. Rent and transportation are two of the most costly expenses and occasionally they relate to each other; often you can save money on rent by moving farther away, but you need to spend more money on transportation to compensate. Other areas can be more straightforward; you may be paying $80 a month for a cellphone but be able to get by on a $40 month plan. Investigate alternatives for each of your budgetary line items to find sensible ways to reduce the cost. Something like downgrading your cable is likely to save you a lot of money over the course of a year but will probably not have a significant affect on your quality of life. When you get to your needs list, your goal is to order them by the amount that you value them. If you spend a lot of money on a multitude of hobbies, now is the time to decide which of those hobbies you enjoy the most and which gives you the most value. Ideally, you should cut your “wants” section down to the top three or top five things that you enjoy, depending on how restrictive your budget is. If you’re a foodie more than a fashion maven, you may find that getting a haircut at a salon doesn’t make the cut, but eating out once or twice a month does. If you’re a reader more than a movie buff, you may find that purchasing a few new books a month is more important than seeing a couple of new release movies in the theater. By prioritizing your wants you allow yourself to still enjoy the things that you enjoy most while cutting back on some of the expenses that really aren’t that important to your happiness. 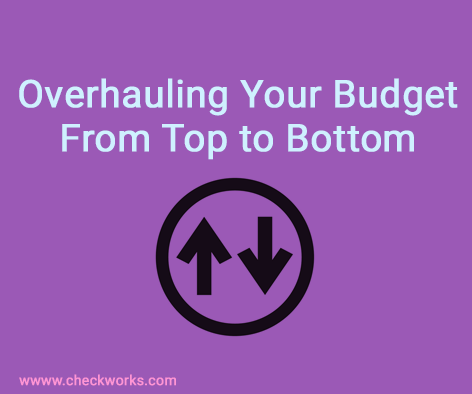 Once you have created your revised budget, it’s time to put it all together. Deduct all of your expenses, both needs and wants, from your income to see where you’re at. Remember that it’s more than just having a buffer — you also need to be able to save enough money to create both an emergency savings account and contribute to your retirement fund. Once you have a sensible budget, it’s just a matter of adhering to it on a day-to-day basis. The goal of creating a budget isn’t simply to restrict your spending — it’s to restrict your spending in a manageable way that will still leave you comfortable and happy. When you create a budget that leaves you frustrated, bored or deprived, it’s very easy to fall back on old spending habits. Like a diet, a budget overhaul has to be done with your continued health and happiness in mind. This entry was posted in Uncategorized on March 23, 2015 by Peter D.
Getting married is one of the most exciting of life’s milestones. However, it can be easy for some of the important details about married life to get lost in the rush of the getting married. This is especially true of the financial considerations of getting married. There are many financial aspects that you must consider when you get married. 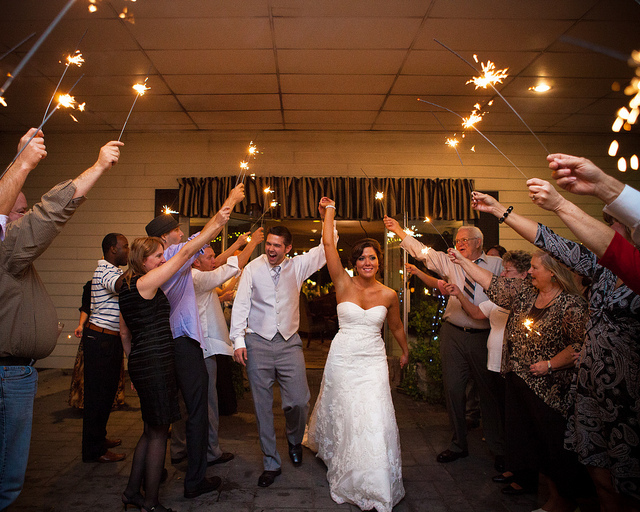 To help you out, here are some financial tips for newlyweds that will make your life easier. Ideally, this should be done before you tie the knot, but it is never too late to sit down with your spouse to have a frank discussion about your finances. This should be a no-holds-barred discussion where you are completely honest about every aspect of your financial situation. Talk about your debts. Talk about whether you are a paycheck-to-paycheck type of individual or a saver. Talk about how you would handle a sudden windfall of cash. The key is to learn all you can about how each of you approach your finances. This will allow you to avoid surprises later on, and it will also help you plan how to be a financially successful couple. One of the most important parts of being a financial success is setting goals. When you are a couple, setting financial goals together will help to bring your closer. There are all sorts of things that couples need for their lives together, and you can set savings goals for all of them. Think about saving for things like a down payment on a home, a vacation and furniture. You should both be saving at least 10 percent of your paychecks towards your savings goals, but setting a higher goal of 20 percent savings is ideal. Setting aside your 10 to 20 percent savings is the first part of creating a monthly budget. To create your budget, you first need to tally up your remaining income after you have set aside your monthly savings. You then need to subtract all of your regular monthly expenses like groceries, utilities, rent, car payments and student loan payments. The remainder of your money should be split unto categories of discretionary spending like entertainment, eating out and shopping. It is very important to stick to the budget. If for some reason you need to go over your budget, it is important that you discuss it with your spouse before you spend money to go over. That way, you can decide together if you really should go over your budget. Creating and sticking to a budget is the best way to avoid financial problems and arguments when you are married. When you are married, it is best to have multiple checking and savings accounts. 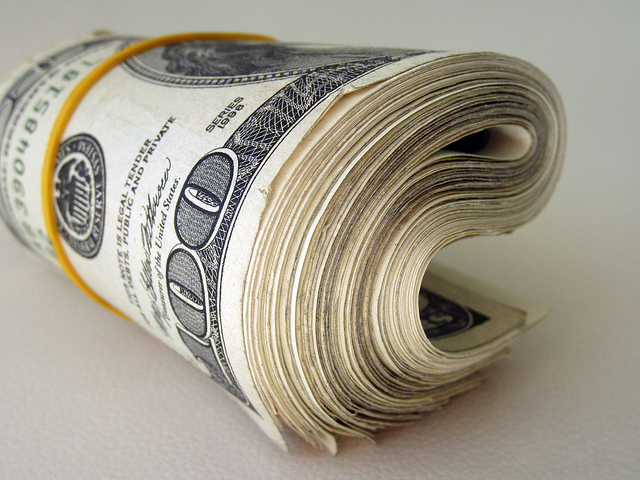 You should have a joint-savings account that you use for your savings goals. You should also have a joint-checking account that you can both access to pay for bills and things that are a part of your budget. You also may want to each have separate checking accounts if you so desire. One of the things you may not have considered is that getting married can affect your tax situation. You can either file jointly as a married couple or file individually under the category of married filing separately. Most couples choose to file a joint tax return because of the tax benefits. It is also simpler to file jointly. However, you if your finances are complicated, you may wish to sit down with an accountant or tax attorney to decide which filing status will benefit you the most. This entry was posted in Personal Finance and tagged personal finance on March 18, 2015 by Peter D.
Getting your first car is an exciting experience. It gives you a great sense of independence, maturity, and self sufficiency. 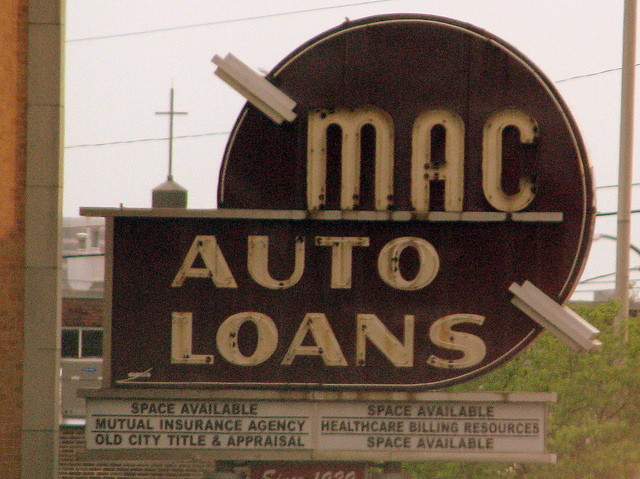 What’s not so great, however, is the inevitable auto loan that comes with that experience. It can often seem that understanding and comparing car loans is nearly impossible. Here are three great tips you can put into use to help you get the best terms on your automotive loan. When banks and credit agencies consider your application for a loan, they are considering not just you and your credit history, but the vehicle you are purchasing as well. As a general rule, banks will be much more willing to make a loan on a newer car than on an older one. This is largely because, in the event of repossession, a newer car will be much easier for that bank to get its money back out of. To make borrowers more likely to consider this, it is common practice for financial institutions to offer high incentives for loans taken out toward the purchase of a car made within the last few model years. One of the most common incentives is a longer term loan offered for newer cars. Newer cars are often given four, five, or even six year loan terms, whereas older cars are usually restricted at two or three. These policies vary by institution, but a general rule of thumb is that the longer term loans will be offered on vehicles five years old or newer. Not all lending agencies will offer you the same terms and interest rates. As such, it is often beneficial to apply for loans from several different institutions, and then compare the offer each one makes to you. You may very well find that one particular bank is willing to offer you an interest rate that is significantly lower that their competitors. On a car loan that is likely to range well into the thousands of dollars, even the slightest break on interest rates can represent a substantial savings. If you have a local credit union, you will want to pay especially close attention to the loan offer you receive from it, as credit unions often have slightly lower rates than traditional banks. If you have limited credit history, getting a cosigner is one of the best ways to lower your interest rate on your first auto loan. Even if you have the ability to take the loan out yourself, it very likely that your interest rates will be higher on your own than they would be with a cosigner who has a well established credit history. Finding a friend or family member willing to cosign your loan will help you save a great deal of money on interest payments down the road. Keep in mind, this is not a one sided proposition. If you do opt to get a cosigner, you are all the more responsible for ensuring that your payments are timely and complete, as another person’s credit is now on the line with yours. Following these three tips will help you to secure the best possible terms on your first auto loan. To get more information on the exact details of a possible loan, you can contact the credit manager at the financial institution you intend to take your loan out from. You can also try online peer to peer lending platforms as an alternative to traditional banks and credit unions, as these platforms often offer lower rates. This entry was posted in Personal Finance on March 11, 2015 by Peter D.
Finance is difficult even for trained professionals. Here are some serious personal finance mistakes that you should avoid making at all costs. Yes, the first thing you should do when money is tight is to save more money. If you set aside a certain amount to pay yourself like it is a bill, you will not have to worry about any unexpected expenses. The emergency fund is set up to keep you out of debt if something unexpected happens so that you will not have to pay late fees and penalties on top of any debt that you may have incurred. There are two major ways in which you can pay off debt – the Snowball and the Avalanche. The Snowball method of paying down debt involves throwing all of your resources at the smallest bill until it is paid off. This will give you a psychological lift for the next smallest bill, and so on and so forth. The Avalanche method means that you pay off the bill with the highest interest rate first. This will save you money over the long term. Certain items like bread, rice, bottled water, underwear and socks can be purchased in bulk from a warehouse. This will leave you more money to put in your emergency fund or to pay down debt without having to diminish your lifestyle. A great deal of the money that you spend in a month goes down the drain without you ever knowing where it went. This money goes towards impulse buys when you take trips to the store or the laundromat. If you give yourself a definite list before you go out, you will be much less likely to spend these pennies on the impulse products that will quickly add up to substantial amounts of money. Instead, put this money to work for you by paying down debt or by putting it into your emergency fund. Much of the money that you spend is on convenience, not on products and services. Case in point: You will spend almost 20% more money each month to go out to eat rather than staying home. When you go to the grocery store, purchase healthy foods that you can cook. One specific way that you can lower your budget each month is to stay away from the convenience aisles in the grocery store. Fresh, raw fruits and vegetables cost much less than TV dinners, believe it or not. This term can mean different things to different people. For one person, it can mean buying a coffee maker rather than going to a convenience coffee shop every day. For another person, it can mean investing in stocks. Either way, having some accounts going up in value is a psychological lift that will help you to pay down your debt. It will be even more of a stretch to set aside money to invest, but this goes along with the strategy of paying yourself first when money is tight anyway. This entry was posted in Personal Finance and tagged personal finance on March 4, 2015 by Peter D.